Annotations should answer two kinds of questions: first, questions which readers ask themselves while reading a text; second, questions which readers do not ask themselves while reading a text but which, after reading the annotation, they feel they should have asked. 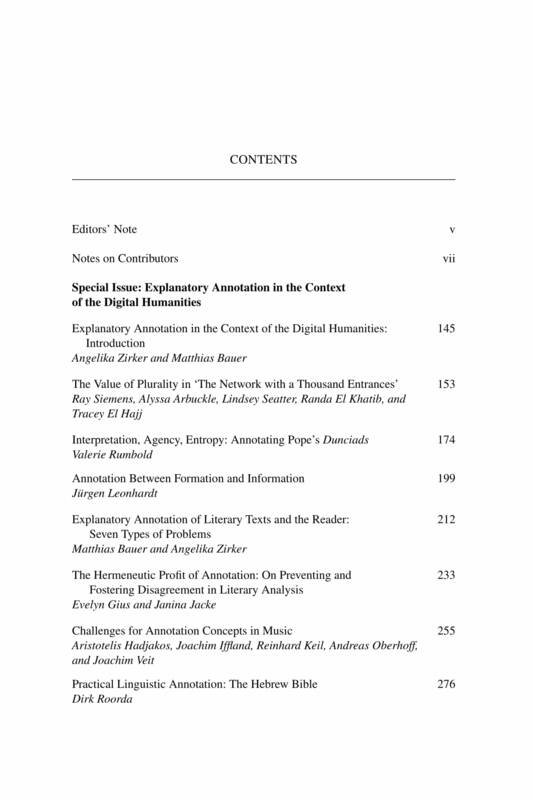 A special issue of the International Journal of Humanities and Arts Computing on explanatory annotation (ed. 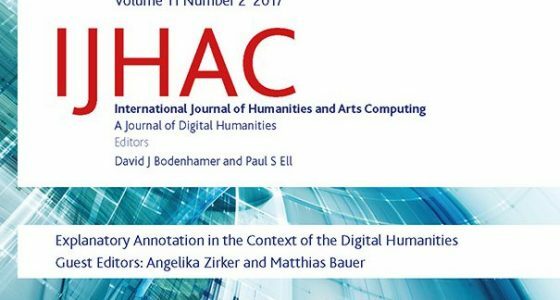 Angelika Zirker and Matthias Bauer) has been published in October 2017 . We would like to thank all contributors for their interesting and thoughtful articles.